These words came from the mouth of the Man of the Series of the five-match ODI series where India hosted Australia: Usman Khawaja. He has always been like this – simple, humble and down to earth. Perhaps these very qualities have helped him time and again to stage a resurgence when his chips were down and he was on the brink of oblivion from one form or the other of our beloved sport. But here arises a question, what is Usman Khawaja doing in the Australian ‘yellows’? Isn’t he supposed to do the hard yards of the Test cricket, donning the Australian whites or preparing hard for some red-ball action? The answer to these questions, which came uttering out of a countless number of mouths when he was named in the Australian squad for ODIs against India in Australia, lies with his willow. He is here to defy the notions that brand him as only a Test player, or the perception that his inclusion in the coloured-clothing formats is a retreat to the past while sacrificing Australia’s white-ball prospects. It seemed an uphill task for him at the start of the ODI-leg during India’s tour of Australia, but not anymore. He was seen as player filling the gap and biding his time till the banned stalwarts, David Warner and Steve Smith, return to the national fold. But Khawaja had some other plans. Khawaja made his ODI debut against Sri Lanka in January 2013 but his ODI career could never really take off. A mere 18 ODI appearances in almost six years i.e. till the end of 2018, corroborate the fact. But everything, in his poor ODI career, was destined to change with the onset of the year 2019. Selected to play in the 3 India ODIs, Khawaja could manage just a single half-century in his tally of 114 runs for the series. But the selectors kept faith in him and named him in the ODI squad which was to travel to India for a five-match ODI series. That was probably the last chance for a 32-year old Khawaja to revive his ODI career which, at that time, was going nowhere. And Khawaja grabbed it with both hands. 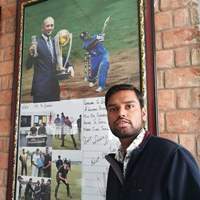 He began with a solid half-century in Hyderabad which came at a slow strike-rate of 65.79, giving rise to plenty of furrowed brows and questions in the cricketing circuit. But those didn’t bother Khawaja as he had already chosen his path. The path of scoring with an intent to force the pace of his inning. A quick-fire 38 (of 37 balls) also went in vain as Australia went 0-2 down in Nagpur. The caravan then moved to Ranchi. That was the time of showing the intent if Aussies had it in them at all. 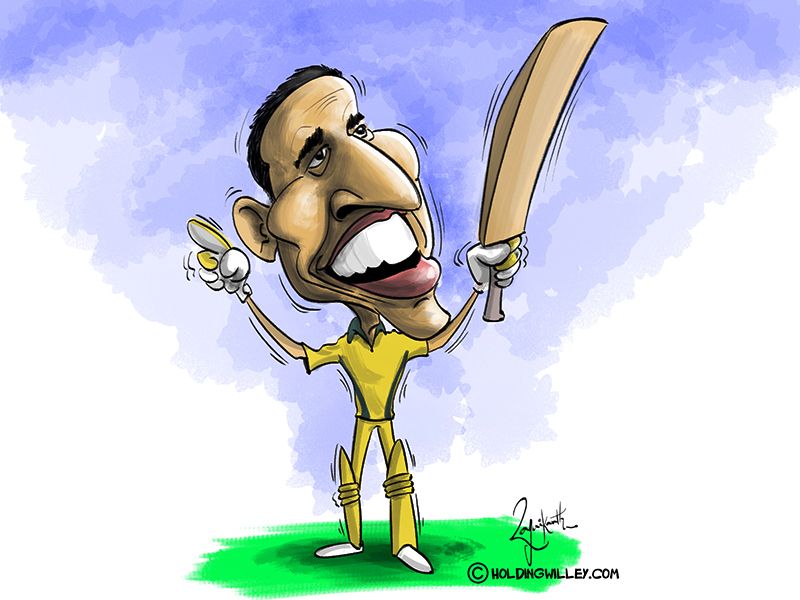 Khawaja took the bait seriously to notch up his maiden ODI ton which propelled his team to a 32-run victory over the hosts. That was the start of the procession over which the Aussies rode and snatched the trophy away from the hands of unwary Indians. A 91 and a second hundred followed in the final two games, bolstering his tally to a mammoth 383 runs – Khawaja’s best in a five-match series and Australia’s second best after Warner’s 386-run effort against South Africa in 2016. These are surely numbers worthy of a Man of the Series prize. But while Khawaja was busy making merry on the pitch, what was his fellow opener, skipper Aaron Finch, doing? During the series, Finch played in all five games and could muster only 157 runs at a below-par average of 31.40, with just a solitary fifty-plus score. This adds up to a total of 262 runs from his last 12 ODI innings at a woeful average of 21.83 runs per dismissal. But if we look prior to these 12 innings, he scored a whopping 751 runs from 12 innings at a blistering average of 62.58, which included four centuries and three fifty-plus scores. With the World Cup looming ever so close, Finch’s form has chosen a really bad time to part ways. The question arises: if not Finch then who? The answer lies in the numbers of Khawaja, opening batsman. In the 15 innings in his career when Khawaja has opened, he now averages 53.35 runs per dismissal for his 747 runs, which include two centuries and five fifties. His suitability also gets boosted by the fact that no Australian batsman comes close to his ODI tally of 497 runs from 8 games this year (so far). Peter Handscomb’s 387 runs come a distant second in the list. There was some apprehension regarding the pace at which Khawaja scores his runs. His career strike-rate of 82.28, prior to 2019, was deemed as too slow to help him in this fast-paced modern ODI cricket. To rectify that chink in his armor, Khawaja scored at a strike-rate of close to 89 in the series against India, which clearly busts the myth that he can’t force the pace of his innings. With doubts looming over Finch’s form, it will be a prudent choice for the Australian team management to start with the pairing of Khawaja and Warner at the World Cup 2019. His ability to mould himself according to the situation of the game sits very well with Australia’s aspirations at the mega-event. He is surely the best bet to back for the opener’s role alongside Warner. (All numbers are accurate prior to the 1st Pakistan vs Australia ODI, 22nd March 2019).